Obama's America 2016 - A Must See! 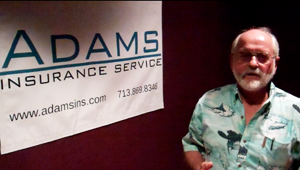 Adams Insurance hosted a viewing event in Houston Sunday afternoon for the documentary 2016: Obama's America. What we wanted to do was to make sure that as many people as possible see this movie, 2016: Obama's America. I actually made my decision on showing it after I read a review from a CBS reporter of all things. I figured that if a liberal reporter could stir my interest that much then this is worth seeing, and so we bought the theater out. We've invited clients and members of our church, and I hope they enjoy it. It is important for every American to watch this movie before the November election, as it takes viewers into our president's past and aims to answer the question: "If Obama wins a second term, where will we be in 2016?" I believe this November's election is critical to the future of our nation. We will choose between two men with very different visions for America. The media has been digging into Mitt Romney's past to tell us everything about him. But, they still have yet to take a close look at President Obama's past. This movie is a documentary that does what the media has failed to do. Please watch it and make up your own mind! Please take the time to watch this movie - you won't regret it!